On May 14, Bill’s Boiler House quietly opened its doors on the Brevard College campus. The brand-new coffee shop – a second location for local vendor Appalachian Coffee Co. – is open to the public as well as the campus community. For Brevard College President David Joyce, the feeling is mutual. The old boiler house was built in 1961 and served as a heating plant for several campus buildings before the College shut it down due to inefficiency. The brick building sat empty for six years, until students, faculty and staff suggested its renovation and transformation into a coffee shop. 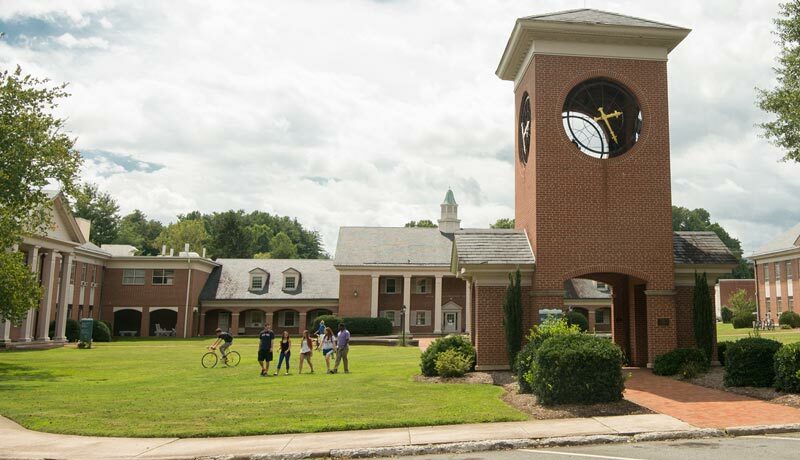 The College received three anonymous gifts totaling $171,124 for the project in addition to donations of architectural services from Al and Parker Platt. Inside the shop, a mountain-lodge feel meets industrial furnishing – interior design that is thanks to the creative eye of Lynne Joyce. Natural light streams through the windows, bringing a warm, welcoming vibe. Soft, soulful music fills the background, as several coffee drinkers place their orders. Hot drinks, cold drinks, and bear claws – Bill’s has it all. Since its soft opening, Bill’s has already seen a lot of business from community members as well as Brevard College staff. They are anticipating a jump in business when students return to campus in August. The College has set a fundraising goal of $90,000 to complete an outdoor plaza that will include an area for outdoor entertainment and a fire pit. One of the College’s and Appalachian Coffee Co’s shared goals for the coffee shop is that it will become a common ground between the College and the community. Summer hours for Bill’s Boiler House are 8 a.m. to 5 p.m. Monday through Saturday and 9 a.m. to 5 p.m. on Sunday. The coffee shop is happy to offer free WiFi for customers.